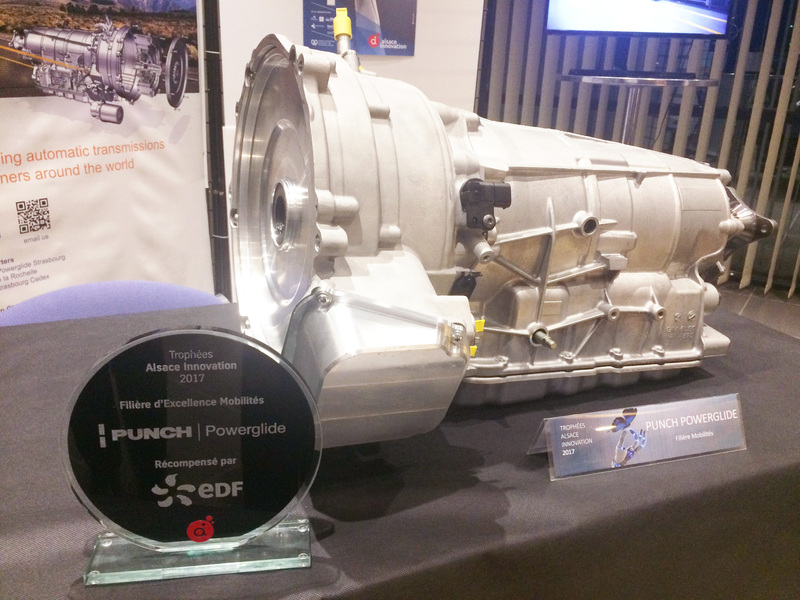 PUNCH Powerglide is proud to receive today the Alsace Innovation Trophy for « Mobility Excellence », to reward our plug-in hybrid transmission project. Ecoresponsive and efficient, hybrid transmission is tomorrow’s technology. Arnaud Baïlo, CEO of PUNCH Powerglide Strasbourg : "With this new technology, our Company is heading towards the future, in a world where thermic cars are to be replaced by hybrid and electric ones. We are proud to innovate in Strasbourg, at the very heart of Europe".